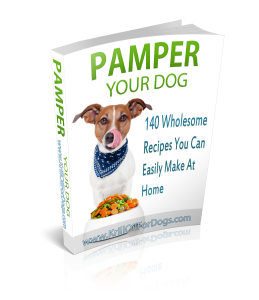 Mineral Oil For Dogs – Curing Ear Mites, Constipation, and other Safe Health Benefits! Mineral oil is a common ingredient, especially in cosmetics, but it has a wide array of uses. It is an odorless and colorless distillate of petroleum. It’s actually a by-product in the process of refining crude oil to make gasoline and other petroleum products. Mineral oil has been used for veterinary purposes mostly in livestock vaccines. It also has applications for poultry and beekeeping. It can even be used to help reptiles like pet lizards or snakes to remove un-shed skin. The mineral oil used by veterinarians is a food grade kind and has been highly refined to remove any toxic components in it. Now when it comes to our furry companions, mineral oil has been mostly known to be used as a quick remedy for constipation thanks to its mild laxative properties. It is a generally safe substance to administer as long as you follow the proper guidelines. 1 Top Rated Mineral Oils for Dogs! 2 Benefits of Using Mineral Oil on Your Dog. 2.1 So, is mineral oil good for dogs? 3 Dangers/Risks of Using Mineral Oil on Your Dog. 3.1 So, is mineral oil safe for dogs? Top Rated Mineral Oils for Dogs! Benefits of Using Mineral Oil on Your Dog. To determine if you need to give your dog mineral oil to treat constipation, you first need to address any dietary and exercise issues. Make sure that your dog hasn’t swallowed anything dangerous and that you’re giving it the proper food. Sometimes constipation stems from a change in diet and/or lack of exercise. If your dog continues to be constipated, then you can treat its symptoms with mineral oil. However, treating the actual cause of your dog’s constipation will be better for its health in the long run. Besides treating constipation, mineral oil can also help eliminate ear mites by smothering them. This can also help excessive scratching in their ears. So, is mineral oil good for dogs? Mineral oil is generally safe, although it may not be the best treatment for your dog’s constipation, but it is a quick, cheap, and efficient one. It’s also effective in relieving itchy ears due to ear mites. Applying mineral in their ears will also help clean out earwax and dirt. It will always be best to use the appropriate amounts of mineral oil under the guidance of your veterinarian. It’s also best to attack the root of these problems instead of just fixing the consequences. Your dog will appreciate it. Dangers/Risks of Using Mineral Oil on Your Dog. Since mineral oil is a processed natural substance, there are some risks and dangers every pet owner should know about before administering this oil to their dogs. While mineral oil is generally safe for dogs, you need to know the proper way to use it. If these symptoms are present, then you should visit your vet immediately. Mineral oil also serves as a lipid solvent, which means that it absorbs the nutrients in your dog’s body. This could interfere with your dog’s digestion and normal absorption process. So, is mineral oil safe for dogs? Mineral oil is generally safe for dogs but it should not be used routinely. 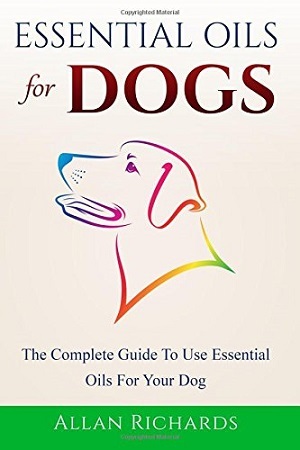 It’s a good way of making bowel movements less straining for your dog, and an efficient way to remove ear mites as well. Always be cautious while using mineral oil, and make sure that your dog doesn’t inhale it or accidentally ingest it directly. This could cause serious health problems and you should visit your vet at once. As a rule of thumb, always consult your veterinarian first before administering any type of substance to your dogs, either directly or with their food. This will ensure that your furry companion stays safe and healthy. To properly administer mineral oil for your dog you must first consider which issue you’re trying to address. Keep in mind that I am not a veterinarian and that you should always consult with your pet’s healthcare provider first before trying to use mineral oil. If you’re treating a problem with constipation, then the safest dosage is 1 teaspoon per every 10 pounds your dog weighs. For smaller dogs, under 25 pounds, give one teaspoon. For slightly larger dogs, 25 to 50 pounds, give a tablespoon. Larger dogs, 50 to 100 pounds, give 2 tablespoons. Try to get the right amount of mineral oil to the size of your dog. Get some of your dog’s food and add the correct amount of mineral oil to the food and let the dog eat it. If he will not eat his regular food, you may need to get some raw meat or a similar piece of food that he will ingest and add the oil to the food. As a last resort, if the earlier methods fail, you can use a bulb syringe for large dogs or an eye dropper for smaller dogs. You can fill them with mineral oil and give them an enema. This should help with the constipation. If the dog does not eat the food with mineral oil, you have to go to the other end to help him. When picking food to add the mineral oil, select food he will eat quickly to make sure he gets the mineral oil into his system. If you select food the dog picks at, it will take longer for him to get the right amount of mineral oil into his system. Some places say to give the mineral oil directly to the dog if he will not eat it with his food. Do not do this. If you give mineral oil directly into the dog’s mouth, it can get into his respiratory system and cause pneumonia. It’s important to continue this routine daily for up to three weeks or up until the ear mites are completely eradicated. Make sure to use enough mineral oil to saturate your dog’s ear, but not too much that it overflows. Your dog will shake this off anyway. Always be careful to not let your dog ingest the mineral oil and consult with your veterinarian before proceeding with this remedy. Why should I feed my dog mineral oil? Mineral oil is a common and easy remedy for constipation since it’s a mild laxative. The only way to feed your dog mineral oil will be by adding it to its food. This must be food that your dog will immediately eat and not pick at sporadically. If you give mineral oil directly to your dog, you put it in danger of accidentally inhaling the oil, which can cause a severe respiratory tract infection such as pneumonia. Are there any side effects to feeding my dog mineral oil? There are some side effects to feeding mineral oil to your dog and these include nutrient deficiency, vomiting, diarrhea, weakness, etc. The main danger although is by accidentally ingesting the mineral oil which can cause pneumonia. Every dog is different and will present different sensitivities, so always monitor your dog before and after giving them mineral oil, and always check with your vet before you do so. You must also address the cause of constipation before needing to recur to the use of mineral oil. Using mineral oil for treating ear mites won’t render any side effects. Can give my puppy mineral oil? It is not recommended to give your puppy mineral oil. If your puppy is constipated, then you should try feeding your puppy good sources of fiber and/or canned pumpkin (not for pie filling) to help relieve its symptoms. If you need to use the mineral oil for eliminating ear mites, then you should use a small amount and be really careful that your puppy doesn’t ingest it. You could also use olive oil or baby oil for this is if you’re skeptical about the mineral oil. Remember to always check with your veterinarian first. Can I use mineral oil on my dog’s skin? Mineral oil is mainly only applied in the ears and mixed with food. Rubbing it onto your dog’s skin will expose your pet to accidental ingestion and inhalation of the mineral oil, which should be avoided at all costs. How do I use mineral oil for my dog? Mineral oil should be mixed with a food that your dog will immediately eat in case of constipation. As a rule of thumb, you should use 1 teaspoon of mineral oil for every 10 pounds your dog weighs. For treating ear mites, you need to apply mineral oil in your dog’s ear using an eye dropper or ear irrigation pump. You should use enough mineral oil to saturate your dog’s ear without it overflowing. The usage of mineral oil for treating constipation in dogs has been tried and true for many pet owners. When it comes to constipation however, it’s always important to figure out what exactly the cause of it is. You must first rule out anything related to your pet’s diet and exercise routine. If your dog hasn’t ingested food that is incompatible with it, then you might be facing a problem with intestinal blockage, and mineral oil won’t help you there. 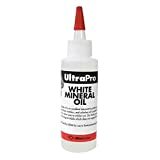 Mineral oil is best recommended for occasional use, only when absolutely necessary and for a case of mild constipation. It should never be given directly due to the respiratory dangers it poses. Always mix mineral oil in with a food that your dog loves. For cleaning out ears and eliminating ear mites, mineral oil can do wonders. As a pet owner, to solve this problem, you must be persistent. Mineral oil will effectively kill and smother any ear mites your dog may have, while cleaning up any residue from the ear mites and ear wax. This method of using mineral oil doesn’t pose any side effects or dangers for your dog, but always make sure you take the necessary precautions to not allow any accidental ingestion of the mineral oil. Under the proper dosage and administration, mineral oil can help your dog and a natural and cost effective way. Be sure to consult your dog’s veterinarian to properly determine the usage of mineral oil for your dog before you proceed to give it to your dog. This way you will ensure your dog’s safety and happiness!